Galaxy S5. This is going to be the best, most powerful and most feature-rich Galaxy phone for around a year. 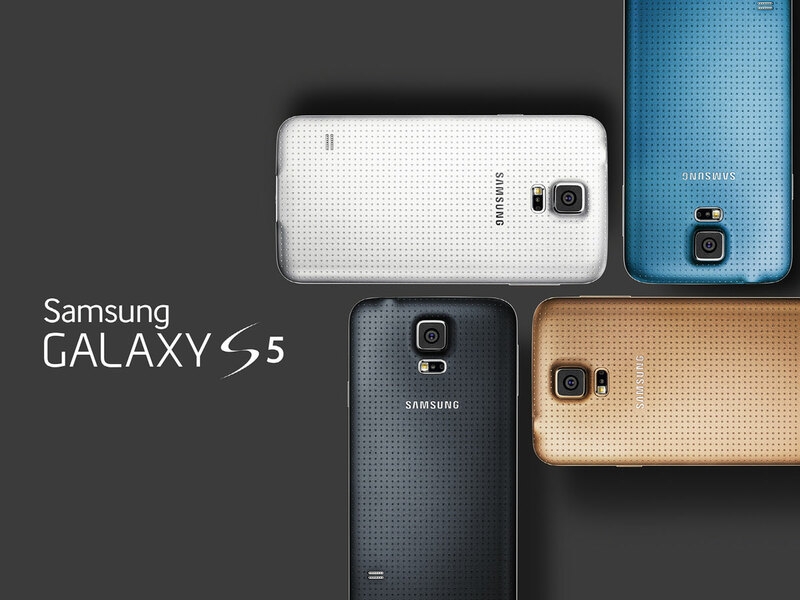 Samsung announced a release date for the Galaxy S5 during its MWC press conference, revealing that the handset will start shipping in multiple countries around the word on 11 April. It added that the smartphone will be available in 16GB and 32GB storage versions, and black, white, blue and gold colour options. The Samsung Galaxy S5, which despite what rumours has suggested will only arrive in one version, improves on last year’s Galaxy S4 when it comes to specifications. Chief among the handset’s features is a 5.1in 1080p HD Super AMOLED screen, which arrives powered by a 2.5GHz Qualcomm Snapdragon 801 processor and 2GB RAM, not an octa-core Exynos 6 processor as some rumours had suggested. However, this new Qualcomm chip equips the phone with Cat4 LTE support, which means the handset can handle 4G download speeds of upto 150Mbps. 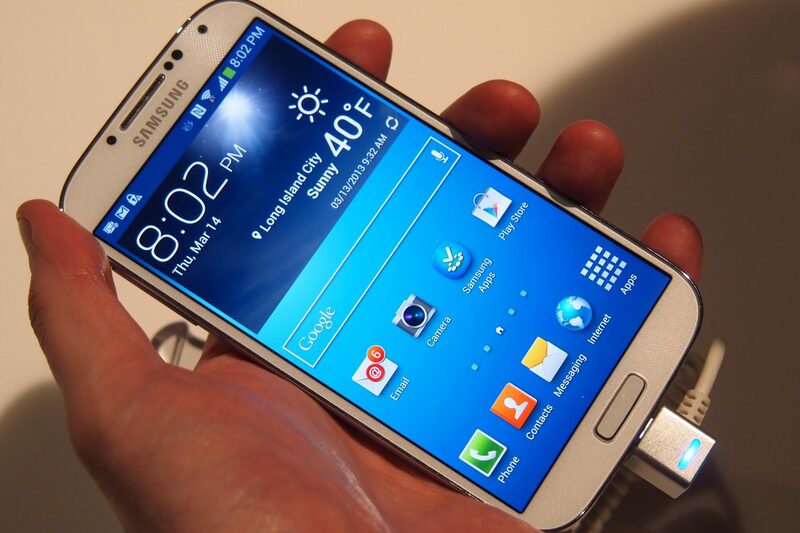 The Samsung Galaxy S5 also runs the latest version of Google’s mobile software, Android 4.4 Kitkat. Samsung has skinned this in an updated version of its custom user interface, which boasts a simplified redesign all round, a focus on fitness and a new ‘My Magazine’ homescreen, accessible by swiping left on the display. The Galaxy S5 won’t just ship stuffed full of Samsung apps either, as the firm has announced that it will come with a premium app and subscription bundle worth $500. The handset features IP67 certification, much like the Sony Xperia Z2. This means that the Galaxy S5 is resistant against both dust and water, and is the first flagship Galaxy smartphone to do so. However, the phone is slightly chunkier than last year’s Galaxy S4, measuring in at 8.1mm thick and tipping the scales at 145g. That’s not the only upgrade the Galaxy S5 has seen in the design department. An iPhone 5S-style fingerprint sensor comes baked into the handset’s home button, adding an extra layer of security to the smartphone, while a built-in heart rate sensor can be found on the back of the device. A 16MP camera sensor also sits on the rear of the phone, complete with a 0.3 second autofocus, dual-LED flash and the ability to shoot 4K video. 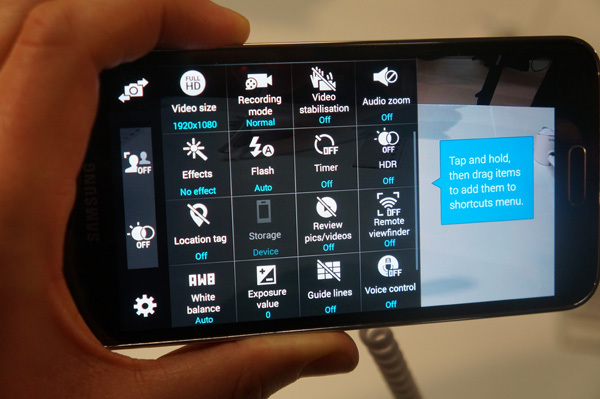 Samsung has debuted a number of new camera software features alongside this, such as Selective Focus mode, which allows users to re-adjust the focus of an image after it has been taken. Of course, the Galaxy S5 will also be compatible with the Gear 2 and Gear 2 Neo smartwatches which were unveiled at Mobile World Congress, as well as the Samsung Gear Fit.